Arsenal will revisit their interest in AC Milan forward Stephan El Shaarawy in the summer transfer window, reports Daily Telegraph. The Gunners were said to be after the Italian in January but a deal was never agreed. However, citing Italian and Milan news source, MilanNews, the Telegraph quotes the player’s agent, Manuel El Shaarawy, as saying there have been requests abroad for his client and although he is happy with his current predicament his situation depends on the situation at Milan in the summer. “I’ve had some requests from abroad, even in January. But Stephan is at home with Milan and doesn’t feel the need to leave,” El Shaarawy’s agent Manuel El Shaarawy said, reports Daily Telegraph. It’s expected the club will go through a vast revamp this summer with changes at board, managerial and squad level. And an offer of £11.8 million could be enough to tempt the Serie A club to part ways with a striker who has scored just one goal so far this season. However, El Shaarawy’s tally this season is hardly indicative of his ability, the 22-year-old scored an impressive 16 goals for Milan during his breakout season in 2012/13. But an injury hit last campaign only allowed him to make seven appearances in the first half of last season before undergoing surgery in December 2013 and he only made his return in May 2014. He has since continued to rebuild his form into this season. “I can rule out a move within Italy this summer. There have also been rumours about Udinese and Torino in January, as well as the Rossoblu. 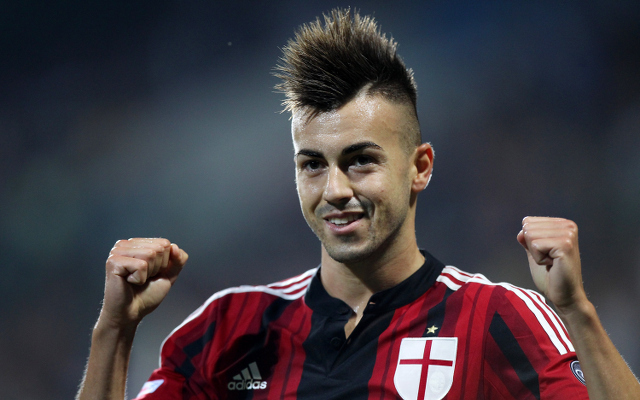 All can be excluded as options,” said Manuel El Shaarawy.